Easily manage iDeals accounts via a corporate identity service. Eliminate the need to deal with multiple passwords. Enable the corporate users to instantly access VDR files from shared links without logging into iDeals. 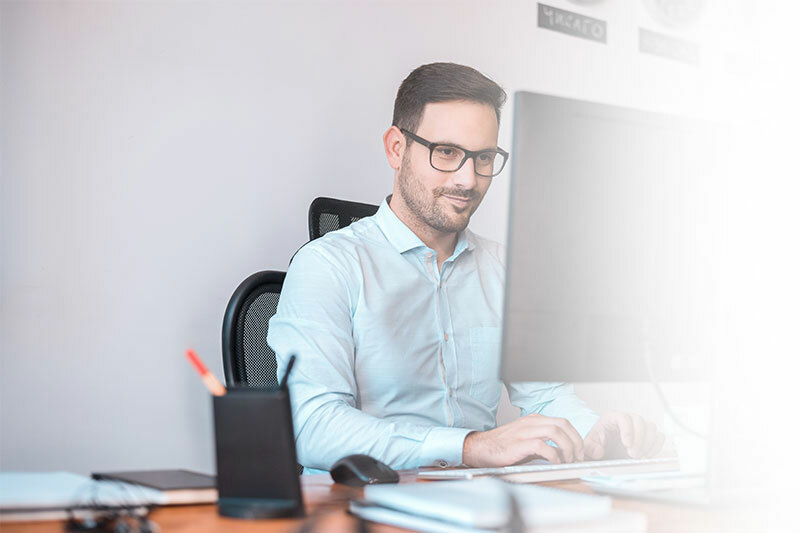 Eligible enterprise employees automatically receive access to all projects in the VDR with the the same set of credentials they use across all SSO-connected services. Once logged into the identity service, a user can instantly access the VDR by following a shared link to a document, folder, etc. Restrictions to access the VDR from the outside of the corporate network depend on identity service’s configurations so as to comply with the company’s authentication policy. SSO lets enterprises cut down on recovering lost passwords and reduce the time it takes their users to log into data room platform. SSO administrator has absolute control over all enterprise identities and can instantly grant, change or revoke access for any user in their software environment including the iDeals VDR. The iDeals technical team accounts for the entire process of implementing the integration for you. 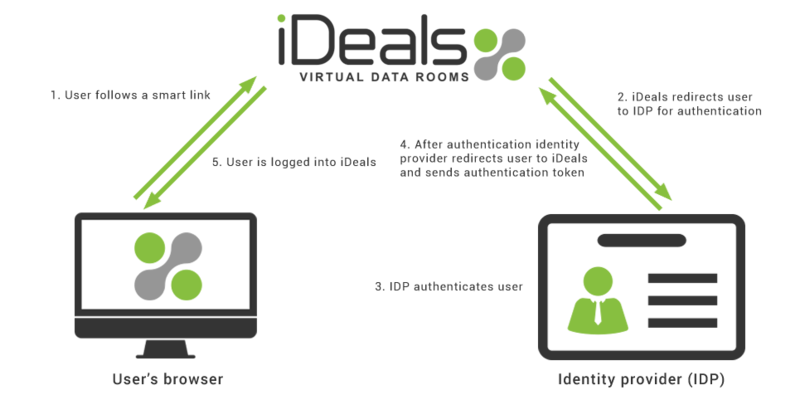 iDeals integrates with corporate identity providers via SAML 2.0 or WS-Federation protocol. 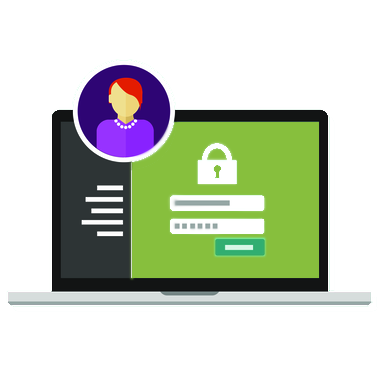 *SAML protocol uses standard cryptography and digital signatures to pass a secure sign-in token from an identity provider of your choice to iDeals without affecting security. You are subscribed to our Business or Enterprise plan. If your subscription is Basic or Pro, please contact your account manager to upgrade. Step 3. Follow a simple setup instruction sent in a response email from our support experts.